This beautifully designed and illustrated book contains all that the practitioner needs. ﻿​​ Pediatrics has long been recognized as an important branch of traditional Chinese medicine, and there are many specialized texts in Chinese devoted to this topic. 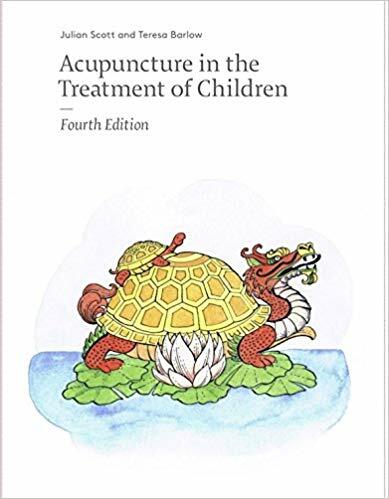 Acupuncture in the Treatment of Children is the leading English-language textbook an this field. In it, the authors describe nearly all of the illnesses and conditions that commonly beset children, together with a clear explanation of how they occur. It is based on 40 years of clinical experience, so the authors can describe in detail the likely results of treatment. In the 20 odd years since the publication of the third edition, there have been great changes in the way children are brought up, and in the stresses they are subjected to. Children as young as 3 years old are given their own electronic tablets; at 10 they will be spending hours each day on social media; in the teenage years there is huge pressure from both school and their peers. This is leading to the emergence of new patterns, which are explored throughout the book. Every chapter has been revised; and the chapters on causes of disease, abdominal pain, allergies, and insomnia have been extensively rewritten to take account of these changes. Mothers and children are now more nervous and highly strung, making many children terrified of needles. The chapter on needle technique has been expanded to include laser and microcurrent treatment for the frightened child. The book has been written with the express aim of helping practitioners to treat children. Illness is so easy to cure at a young age. If left untreated, the symptoms may go away, but the remaining imbalance can lead to a lifetime of unwellness.